Black soap? Isn’t that an oxymoron? Not really, since real, pure, good soap is made with olive oil and unlike other linseed oil-based black soaps, Marius Fabre black soap is an entirely olive oil-based product. This strongly concentrated olive oil is what gives the soap its lovely dark brown color. 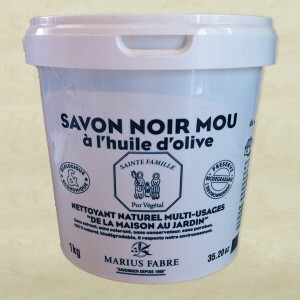 Vegetable-based, solvent-free and containing no artificial colorings, Marius Fabre black soap with olive oil is biodegradable and environmentally friendly. It is currently making a comeback since people are looking for natural products! More and more consumers are rediscovering the benefits of household products that respect mankind and the planet. 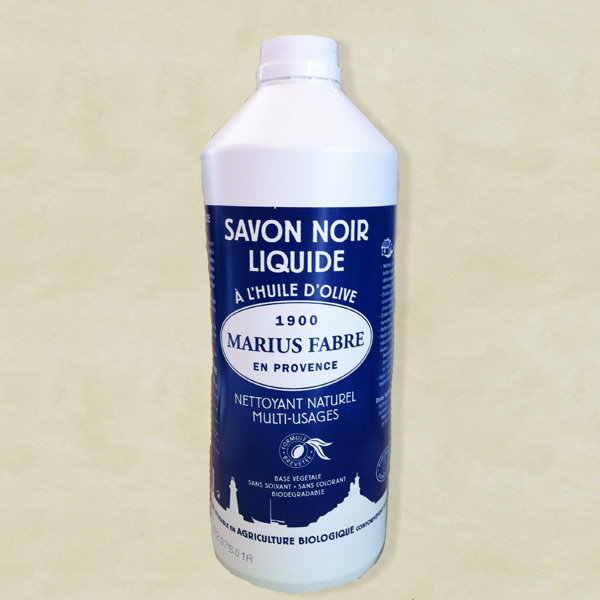 Marius Fabre black soap cleans everything at home from top to bottom. Floors and tiled surfaces, surfaces, worktops, cookers, etc, dishes, copper and silver, windows, leather, laundry, roofs, barbecues, glass-fronted fireplaces, motorcycles, cars, bicycles, boats, etc. 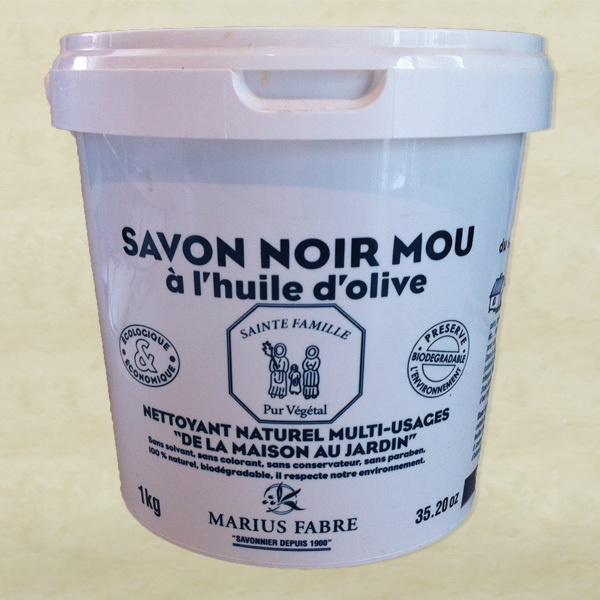 In the garden, Marius Fabre black soap is the natural way to take care of your plants. Rosebushes, ornamental plants, fruit trees, vegetable gardens, etc, bordeaux mixture fungicide, organic farming. Black soap can also be used in making Tadelakt (Moroccan lime plaster) waterproof. Download PDF – Black Soap: Uses for all reasons, uses for all seasons.